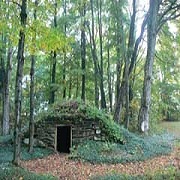 This program is an in depth experiential study of the nature of Earth Wisdom, as given by our ancestral wisdom keepers of Earth and Sky, the Elementals, our Earth Mother, and the nature of Divine Grace herself, as she presents herself to us through natural and right relationships within her natural kingdoms, and in ancient ceremonial sites of New England. This is currently only open to members of our Ottawa programs community, or members of our Advanced classes. However, there is the potential for you to join us. Watch for upcoming program information, contact us with your interest, or join our Newsletter or Facebook pages for future announcements. This will also allow you access to future program information in other locations and times. This program will be held August 8-11, 2019, with an optional day Aug 11-12. - Accessing and Working with the wisdom schools of the Siddhe, the elementals, and other ancient and holy ones of the Earth & Sky Realms, including the wisdom keepers and protectors of the sites we gather in for this work, the Star Elders who seeded these ancient sites, as well as sites world wide, practices for re-awakening and activating those seeds of the Creative Materix, and special techniques for access and approach to sacred sites and the Holy Ones we encounter in each site. 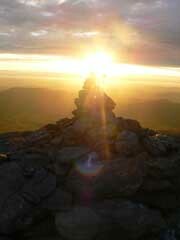 - Mt Mansfield, notch and mountaintop sacred sites. If you are part of the Ottawa Group, contact Kristine Karpinski immediately for inclusion, or register here if you are a known part of her community. See our latest article on "The Crystalline Matrix"
This will evolve as our intentions gather, focus, and activate for this journey, and further evolve as our guides interact more and more to re-awaken us to the greater potentials awaiting us, and revealed, as we bring our attention more and more to this. Please see Registration, Itinerary, and Logistics tabs above. We also recommend you view our earth energies articles. There is a special relationship we are being asked to engage in with the living consciousness of various elements of Earth and Sky. As we have entered these relationships through the last decades, the living beings of Earth and Sky have responded in truly magical and remarkable ways. We are being asked, at this time, to renew, reawaken, and reinvigorate ancient living relations with Earth and Sky, just as the ancients and living indigenous peoples of the world have always done. This re-awakening is serving to create a deep alignment for all humanity, to lift and shift the vibrational field for all sentient beings, to serve the greater cosmos. The sacred sites we will visit are part of a living vortices of primal earth & celestial energies manifesting perfect union of the principals of the Divine Feminine and Masculine, in New England. Such perfect geometries exist world wide. Yet, they are rare, and unique. This 'field of intelligence,' created and generated by this living relationship of primary energies, sustains a thriving vital interrelationship between worlds, between heaven and earth, a sacred union, which, when we engage in living and right relationship, interacts with us in ways, thus far, beyond many of our imaginations. We hold a responsibility as caretakers of each of these sacred sites, to enter and maintain right relationship with these living forces of Creation. In Western Europe, to this day, the living currents of energy, which snake through the countryside, often connecting ancient, primordial, and later Christian sites (wells, springs, groves, hills, standing stones, circles, cairns, fugoues, and more) in serpentine forms, are called "Dragon Lines." 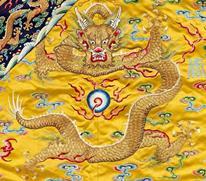 The Chinese speak to the "Dragon Points" as those special places of union of the Divine Masculine and Feminine forces of nature, places where streams merge, springs arising where southerly facing ridges unite (at least 2 places where we engage in this work), and often site temples upon the strengthening energies where these energy currents meet, rise, or descend into the Earth. We shall enter ancient stone chambers amply sited, in sacred ceremony, learning the secrets of entering right relationship with the living Wisdom Keepers, Ancestral Beings of the StarNations whom built these temples, to ask their permission, and enter sacred ceremony, with them present, to guide and open us to the incredible mysteries contained within the stones themselves, and the living vortices which open when touched in holy ways. We are in a time of great awakening. And it is time we do our part, to come into authentic alignment and awakening within ourself, but, also, to assist and integrate that awakening in rhythm with the heart of life, with the Earth, and the Cosmos, as they guide us to reawaken and rekindle our right and meaningful living relations with every aspect of Earth and Sky. We shall work with the natural elements of Earth and Sky, with the Ancestral Spirit Keepers of Sacred Sites, with the living Consciousness of different aspects of the natural world, mountains, trees, the Stone Beings, bodies of water..., and the ancient Medicine kindgoms of the region. We shall enter sacred relation, activate deeper awareness, journey in ancient stone temples, literally bathe in sacred streams and waters, and initiate deeper understanding of the sacred nature of who we are, and how we live in right relationship to the Earth. Establishing right relationship with the Earth is paramount to our coming into our power as Co-creators with all elements of Earth and Sky. A pristine relationship creating a perfect Star Tetrahedron that occurs over a 100 mile radius in Vermont and New Hampshire. The mountains and lakes embody the sacred forces of the Divine Masculine and Divine Feminine of Creation, known throughout most mystery schools as the "Perfect Union" which brings all life into manifest form. 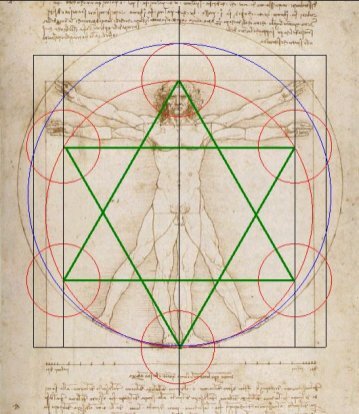 The Sacred Geometries, the Seed and Flower of Life that arises from this union of the Creative Matrix, is birthed and brings balance through all spectrums of life, even in the human form, as our great artists have seen, and shown. 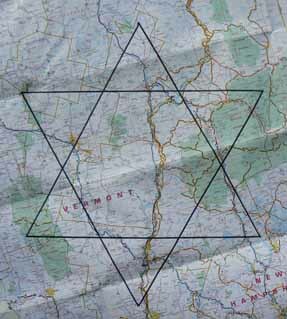 All life is based on the fundamental relationships and proportions that are seen through the unfolding of the Star Tetrahedron, also seen as the Star of David, the Sri Yantra, and the Merkaba in other wisdom traditions of the world. Kristine and I are already significantly connecting with higher intentions and guidance for this sacred journey. I, personally, am realizing this as a culmination of a variety of aspects of my own work with the Crystalline Matrix of Earth and Sky, not just over the past decades of conscious work, but as part of my intention in embodying in this lifetime. We have had numerous revelational practices from Vermont to Egypt to Tunisia to Peru cultivating and activating our relationship to this matrix. We have been extremely guided by the Ancient and Holy ones of Earth and Sky realms, opening magnificent doorways, palaces, and 'Hidden Treasures' to us. Our living indigenous elders have seen our work, and asked us on multiple occasions to continue this work of re-awakening and activating this matrix. The revelational nature of much of this work is more than I can articulate at this moment. However, your desire to create this vision, this journey, is bringing together a higher state of awareness of the connection of this work, the Holy Ones revealing greater potentials of realization through our collective work, evolving each time I bring awareness to it, just in preparing myself for this sacred journey. I am honored to be a guide and facilitator in this work. Dorothy is equally honored, and will bring her pure heart of wisdom into our collaboration. Guidance of the Star Elders associated with one indigenous society's Crystal Ark, the Crystal Cathedral (Library of Knowledge) ancient stone chamber, our work with the crystalline heart of the Earth, her connecting point through Luna to the Star Realms, the Great Crystal of the Sun Pyramid in Teotihuacan and its relationship to the star beings who planted it there, and their intentions for harmony for all of humanity, as well as many others similarly planted throughout the world, the interconnection and wisdom that the Siddhe and others of the Ancestral realms bring to us, and so many more, are all but some of the potentials feeding into this journey. Our relationship to this, each of us, and our potential to gather as healers, to plant the seeds and visions of healing for the world, is a greater part of this than most of us know or fully comprehend at this time. It may not be fully revealed until we gather, and do the work. That is how it most often is; even as this is how the Great Mystery does Her work. So many of us here at this time, have come at this time to bring our potential forward. It is what we have come to do, what we have embodied for. It is time we each step into our ultimate power and knowing as healers and divine beings to activate this awakening more fully; to do our part. Connecting as community will feed that potential even more. Those who know my work, will see the connection and potential rising through such work as the 3 Hearts, the Pure Tones of self remembrance, the keeper of the hidden mysteries, the evolutionary spiral of life, the Diamond Light and Star Energy practices, the Harmony of Life that arises when we enter pristine grace and remembrance within the womb of the Great Mother, and the Seeds of Grace and the Creative Matrix of Life we have come to plant again. The star energies, the star ancestors who seeded their crystalline knowledge in so many places of ancient time, being re-kindled and re-awakened now, at this time, as foretold, as many of our elders of many traditions are doing, we so shall do. Bringing our own attention, coherence and cohesion to the practice, brings us together in a unified stance, that magnifies and magnetizes our intentions. Methodology of Approaching sacred sites, stone gateway, stone and grandmother tree practices, water element, entering the Siddhe sanctuary, gateway, potential of crystalline matrix, and elemental water practices- the Nustas, the Princesses of the Elements, the essential nature of them, our relationship to them. 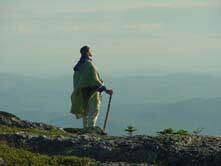 Grandfather Apu of the region (Stowe), Spirit of such mountains are understood to oversee the well being of those in that region. These are but some potentials speaking to us. Others shall arise as we form our intentions to gather. Those who know us know our work evolves in each moment, as the Great Mother and her allies from all realms come to assist, guide, and direct us. We expect to offer practices in each location above, but that guidance shall be followed if we are directed to change course. This program is special, in that Kristine is overseeing most room accommodations, transportation during the event, meal preparation and catering for this event. Those costs ARE NOT included in the program cost you are paying for. Room and meals overnight with dinner Sunday August 11 through lunch Monday August 12 are included in the 5th day option price. Kristine will communicate with you where the group will collectively provide its own meals, make communal meals, or prepare your own breakfasts and lunches, as well as estimate your share of costs for those meals, rooms, and transportation during the event. She is able to provide transportation from the Ottawa area as part of those costs. Please notify us of any dietary restrictions well before the start of the program. Bring snacks/refreshments you may need between meals outlined. We will provide water daily, but please bring a water bottle you can refill from natural springs and wells. Her groups expect to arrive in Vermont the day before the program for acclimation and special preparatory ritual or ceremony. You may wish to bring a drum, rattle, camera, notepad, pack, sunscreen, bug repellant, water bottle, snacks, sacred objects, tobacco, a journal, a small portion of dried or picked flowers, food, nuts, grains, or other special offering items used to make gift offerings to the spirits of each place we visit; also, backpack, satchel, or something to carry any of these items in, including water, etc for the trip. We recommend good hiking boots, all appropriate outdoor clothing for rain or shine, and a change of clothes close at hand. 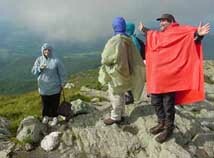 Keep in mind, mountain summits can be quite windy and 20 degrees (F) difference from valley floors. You may find a hiking staff useful, the sliding/foldup type are best for our purposes with limited luggage. We may have some opportunities to be in water. Please bring a swimsuit and towel. Be mindful some attendees will be sensitive to chemical ingredients in lotions. Please look for those with natural ingredients, fragrance free, wherever possible. Yet, we require you to take full personal responsibility for your health and well being during this expedition. This includes consultation with your physician before attending, and signing of our waiver, for inclusion in this trip. 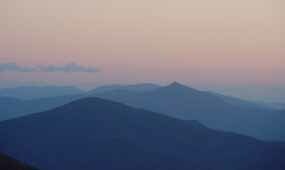 Mts Ascutney & Mansfield are accessed through toll roads which take us near the summits, so there is not nearly as much climbing as would be necessary from the foot of these mountains. The Calendar I chambers will require a 45min to 1 hr hike on forest roads (maintained, muddy/wet spots at worst,) with two 1/4 mile minute steep inclines. 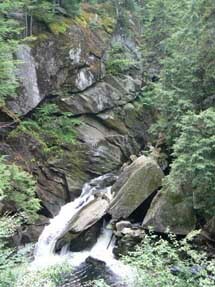 Most other locations are easy hikes from, literally, 200 feet to 15 minutes one way. Registration in this program is a commitment to attend. Once a deposit or payment is made, there are no refunds. If you are not sure you will attend, we recommend you wait until you are sure before registering. There is limited registration, and most spaces are already expected to fill, from pre-registration communications. Registration is currently only open to those who are part of Kristine Karpinski's Feminine Mysteries groups. If you are part of those groups, you may register now, or, contact Kristine Karpinski to see if you are able to be included. If room remains, by March 1, the program will open to those in Zacciah's Advanced Groups. If you are one of our Advanced class members, and wish to attend, we recommend you register and make a deposit to insure a space is held. If room does not open for our Advanced Group, you will receive an immediate and full refund. Others who have worked with Zacciah may contact his offices for possible inclusion. You may email email us or call us - admin@sunreed.com - 802.674.9585. All participants will be required to fill out a Waiver and emergency contact form before participating. After registering please fill out the waiver and emergency contact form here. We accept debit and credit cards, PayPal, cash or checks for payment.